Written for working and aspiring filmmakers, directors, producers and screenwriters, The Marketing Edge for Filmmakers walks through every stage of the marketing process—from concept to post-production—and illustrates how creative decisions at each stage will impact the marketability of a film. In this book, marketing experts Schwartz and MacDonald welcome you behind the curtain into the inner workings of a studio marketing department and track films of different budgets (studio, genre, independent, and documentary) through the marketing process, examining how each discipline will approach your film. 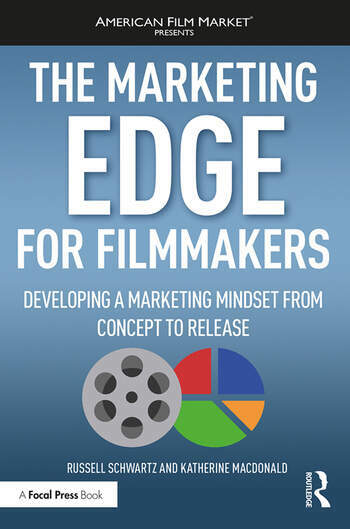 Featuring interviews with both marketers and filmmakers throughout, an extensive glossary and end-of-chapter exercises, The Marketing Edge for Filmmakers offers a unique introduction to film marketing and a practical guide for understanding the impact of marketing on your film. Russell Schwartz is Associate Professor at the Dodge College of Film and Media in Chapman University, where he is the lead marketing professor in the Creative Producing Program. He is also Co-Principal of Pandemic Marketing which provides strategic consulting to the motion picture industry. Recently he was President of Worldwide Marketing for Relativity Media and was formally President of Marketing at New Line Cinema, where he created and managed the marketing campaigns for over 70 films, including the Lord of the Rings trilogy, Wedding Crashers, Elf, Hairspray and The Notebook. Kate MacDonald is a studio marketing executive based in Los Angeles. She is the Vice President of Marketing and Production at Paramount Pictures. During her career, Kate has worked on a variety of both large and more targeted films such as Wedding Crashers, the Saw horror franchise, World War Z, the Star Trek franchise, Wolf of Wall Street and The Big Short.